LA quintet Holy Grail has unleashed their second album ‘Ride The Void’ with a whole new style of writing in place. Gone are the swords and sorcery, replaced with a more mature and sadistic approach to their sophisticated brand of metal. It has been three years since their debut ‘Crisis In Utopia’ and with line up changes the band are back to claim a place in the world of metal. Opening as many power metal bands seem to these days with an intro piece, the song called ‘Archeus’ is atmospheric and builds up to a powerful ending before ‘Bestia Triumphans’ comes crashing out the speakers. James-Paul Luna has a powerful set of pipes and the song reminded me of something Lacuna Coil may have attempted. 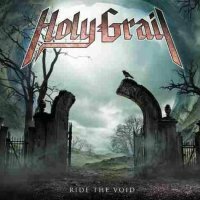 Not unlike Primal Fear, Holy Grail are consistent in their approach and don’t stray from a formula to much and for lovers of power metal this may be a good thing. Both ‘Dark Passenger’ and ‘Bleeding Stone’ are jam packed with crushing riffs and drums sounding like rapid canon fire. Everything is in place vocally and the songs hit the intended mark. As a more casual listener, you do tend to search for something a little more adventurous and you can be easily fooled by the melancholy guitar introduction in ‘Ride the Wind’ before we are off galloping into battle again. If early Anthrax is your cup of tea then ‘Crosswinds’ or maybe even ‘Take It To The Grave’ will take you back to a time of tight black jeans , baseball boots and thrashing guitars! It is clear by the time you are half way through this release that it is all much of the same and maybe that’s where Holy Grail strengths are? ‘Sleep Of Virtue’ has plenty of twin guitar playing to keep any Maiden fan grinning while ‘The Great Artifice’ is death grunts and speed metal guitars. 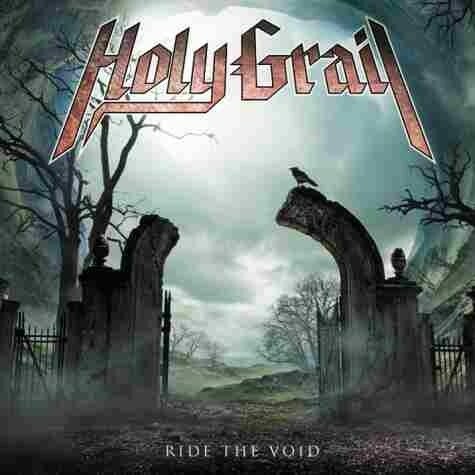 So, what Holy Grail offer is well executed power metal, written and performed from the heart.